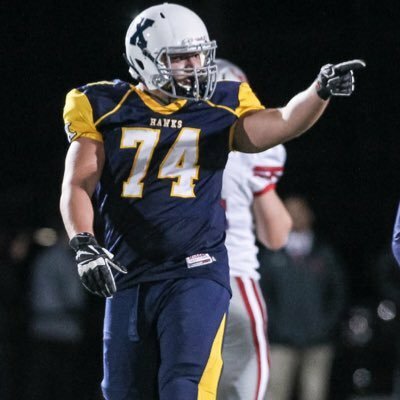 It should be a very busy National Signing Day for Dartmouth OL commit Jake Guidone and the rest of his Xaverian teammates. SuiteSports is proud to unveil its 2017 Massachusetts Football Recruiting Database, and we aim to cover every player in the Commonwealth who is going on to play college football at every level. As you might imagine, that's quite a task, which is why our list will be constantly updated, even beyond National Signing Day on Wednesday, to reflect any new commitments brought to our attention, or any changes of heart. As always, if we missed anybody, got anything wrong, or don't have the most up to date info on a recruit, Tweet me, or shoot me an email to jparello86@gmail.com. Ed. Note- For our purposes, PG will stand for either a player doing a post grad year, or simply transferring to a prep school/academy outside the MIAA, even if they were not technically a post graduate. We have listed Massachusetts Prep schools on our list, but have listed players from MA who prepped out of state under their original high schools. For example, Brian Abosi originally played for St. John's (Shrewsbury), but he's listed under his most recent school, Worcester Academy, since it is an in-state prep school. But, Coby Tippett, who originally played at Xaverian, is still listed as a Hawk, because he prepped outside the state at Cheshire Academy in Connecticut.